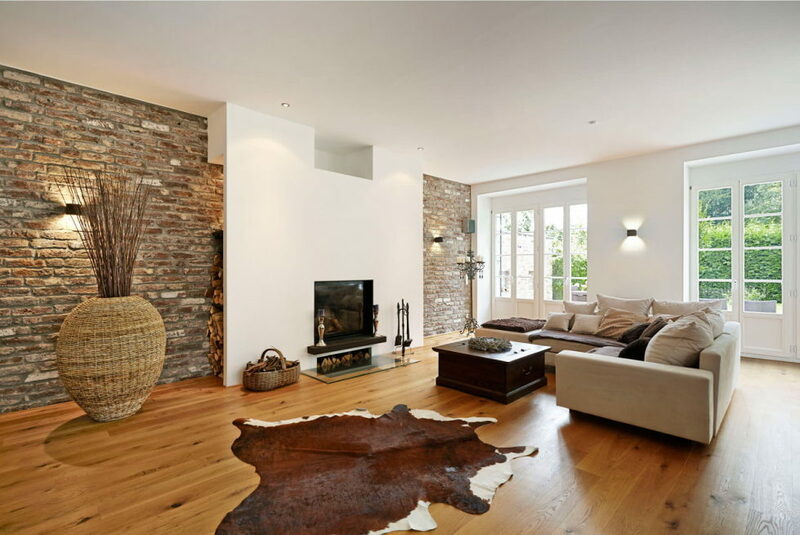 A living room designed in brown color became an example of a classic interior solution. And there’s no doubt that this color with its great variety of magnificent shades, including natural ones, is designer’s absolute favorite. There is one important detail: all shades of brown can be combined with each other; such harmonious mixes can emphasize the main dignity of almost any style. There are all manner of brown colors as Mocha, latte, cappuccino, dark and light chocolate, tree bark or stained wood that will make a room warm, comfortable and environmentally friendly. Such palette will always be pleasing to the eye creating a feeling of closeness to nature. 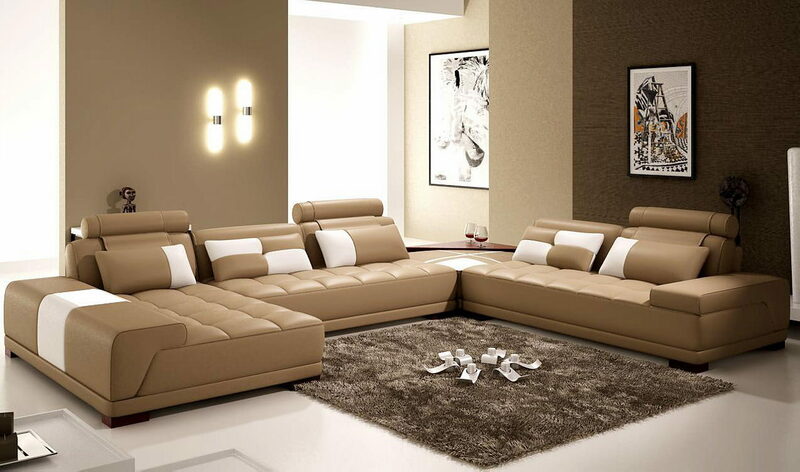 Using these brown shades one can design his living room in any style. Designers chose brown colors for lots of stiles, for example, classic, minimalist, loft and even marine. 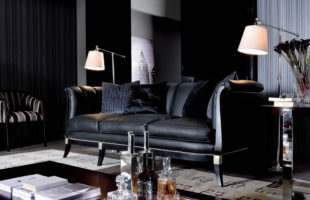 Comfort and stability – these are feelings that come when you are in an interior designed in brown palette. However, there is one little but essential caveat: do not make your room monochrome. It is necessary to complement brown with other colors. 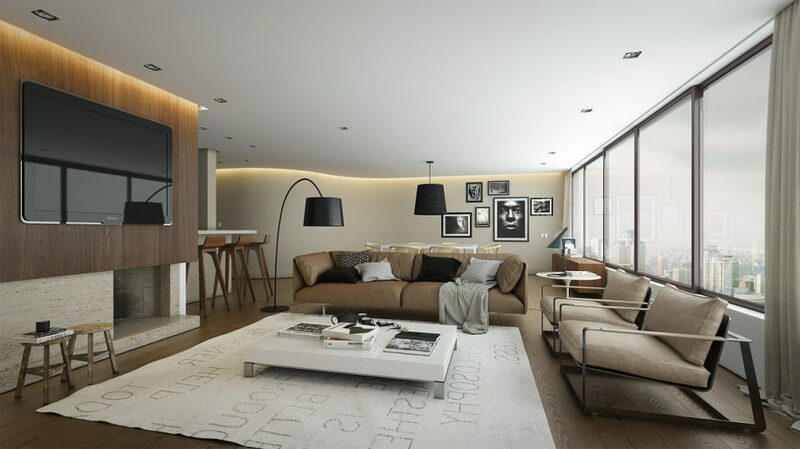 Overload of dark shades of brown can make the room look gloomy and also visually reduce it. 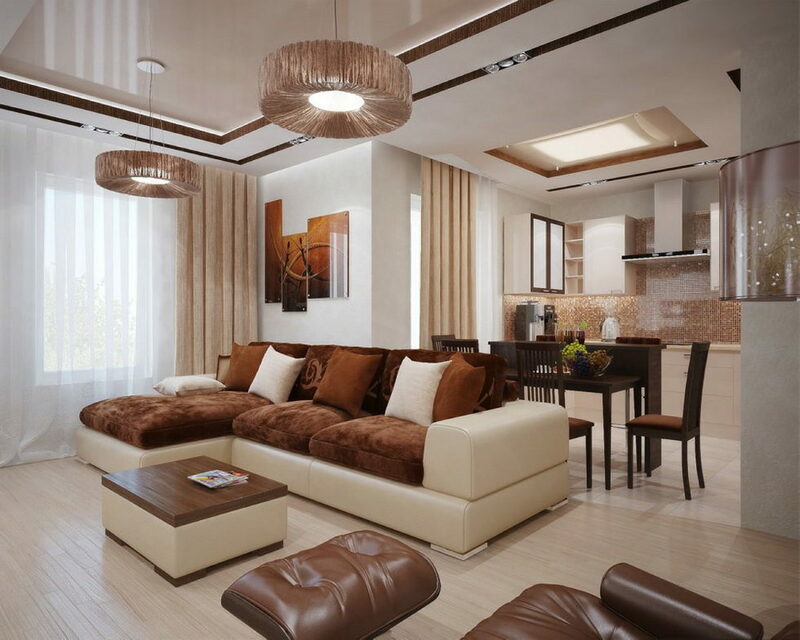 It is difficult to find a color that cannot be used in a designing of brown living room, because almost the all color palette perfectly combines with it. But there are also the most successful classic combinations. 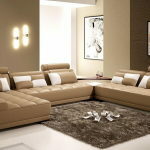 White color: The duo “white-brown” could make any room look elegant, harmoniously and solemnly. This combination will make any living place a grand room in the house. Blue color: Brown is a warm color; therefore it combines particularly well with cool blue and its shades as cobalt, azure, turquoise, emerald and malachite. Such particularly popular color mixes are becoming really fashionable, because they could allow you to create a balanced interior. 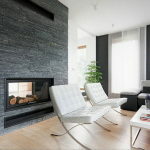 Yellow color: Living room interior in brown tones could be successfully complemented with the elements of yellow, as well as close to it gold, orange, orange, brick or mustard shade. It is also a classic combination that has not lost its relevance over the centuries. Green color: Brown color combines ideally with shades of green, such as herbal, wetland and bright green tones. Mixes of these colors look particularly impressive in eco-style. Natural colors: The colors of wood and earth are brown tones, and in natural environment they are combined with green foliage, blue sky, sandy river banks and golden sun. 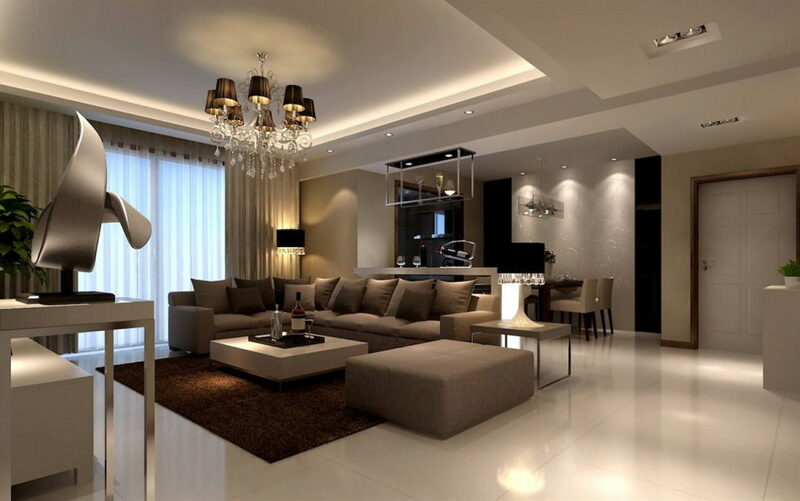 A living room interior will be maximum harmonious if these natural colors are used in the decoration. 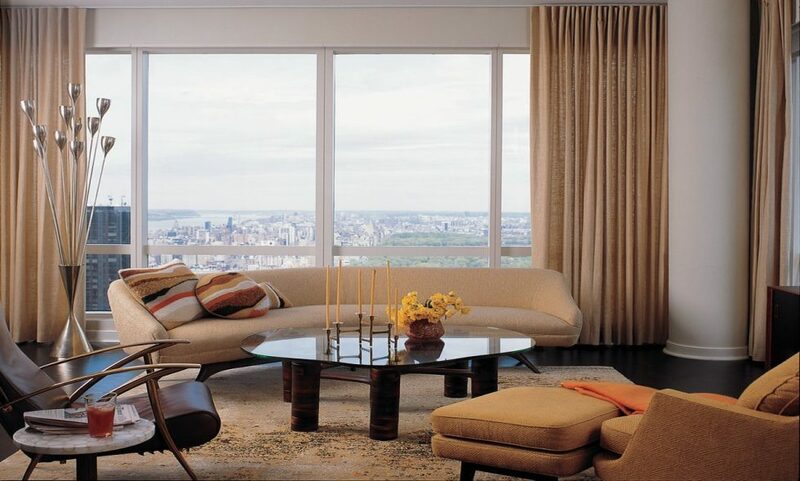 The living room in brown tones may look uninteresting and even gloomy if you do not use additional colors. But use a variety of textures, patterns or patterns will brighten up any interior. Also, original and colorful decorative elements in brown tones could help you to create an expressive and unique living space. But it is very important to have a sense of proportion. For example, if you oversaturate an interior room in shades of brown with leopard or tiger prints, you will get repellent result. The quantity of so-called animal prints as accent details should be strictly “metered”. Do not cross the line beyond which such original highlights will become obsessive triviality. 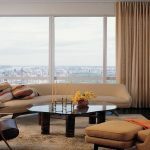 Brown can also help to correct the lack of space in rooms, pull it or vice versa – to expand it, to raise the ceiling or visually “move away” one of the walls. 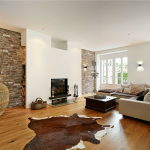 To achieve the desired effect, designers use various shades of brown, from light to dark in the decoration of the walls. 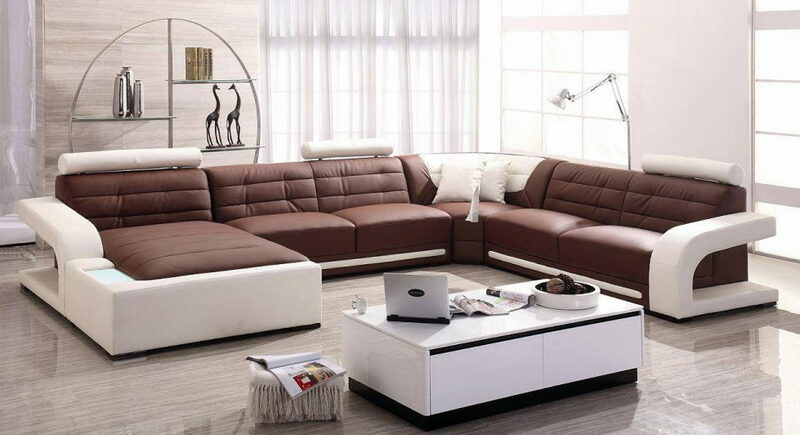 And finally, the main advantage of a living room in a brown color is that no matter what visual style you choose, it will always be cozy, comfortable and warm.